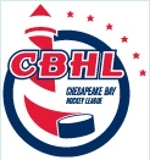 NoVA Blue faced daunting odds entering the CCHL 18U Patrick Division playoff weekend. The first game was against NoVA White, a team that Blue had not beaten in over two seasons. White was led by seniors Ned Huffman and Aidan Blair, and goalie Jake Fischer. At the other end of the ice, Blue was led by seniors Nick Ward, Cooper Rapp, and senior goalie, Mark Miller. Consistent with the recent regular season meetings between these teams, it was a tight-checking affair with both goalies thwarting numerous scoring opportunities. Blue sneaked in a goal at the end of the first period, but White did not wilt. The remainder of the game was a chess game between the veteran coaches as they sought to gain favorable match-ups. Blue, however, thwarted White’s offense and persevered for a 1-0 victory. In its second game, in the last ice slot of the night, NoVA Blue faced the number one seed, Howard Gray, which had only one regular season loss. Blue started its freshman goalie, James Gillice. Blue pressured Howard by scoring first, but the swift skating Huskies responded with three goals in the second period thanks to several ill-advised penalties by Blue. Meanwhile, Blue mustered a goal to cut the deficit to one goal going into the third period. In the third period, Blue adjusted to the Howard attack and scored the tying goal after a slick passing sequence in front of Howard’s net. The result was a 3-3 tie that boosted Blue’s confidence going into Sunday. In the first ice slot on Sunday, NoVA Blue faced off against NoVA Red, an energetic and tenacious team. With the promise of post-game donuts as inspiration, Blue scored the only goal of the first period. The second period was scoreless despite several power play opportunities by both teams. Hanging on to its one goal lead going into the third, Blue added an insurance goal for a final score of 2-0, with Blue goalie Mark Miller closing out his second consecutive playoff shut-out. The victory over Red ensured Blue a trip to the semi-finals. The early morning start time against Red turned out to be a blessing in disguise because it gave Blue extra time to recuperated before the semi-final rematch with NoVA White. The semi-final rematch of NoVA Blue and NoVA White promised to be another low-scoring affair. Blue punched in a goal 10 minutes into the first period, but White responded with a late goal against Blue’s goalie, James Gillice, to knot the score. In the second period, Blue scored two unanswered goals, but given White’s potent offense, Blue couldn’t relax. Sure enough, White scored five minutes into the third period to pull within a goal, raising the anxiety level on the Blue bench. Blue demonstrated its resilience, though, by scoring the next three goals for an insurmountable cushion. After an inconsequential late White goal, Blue’s 6-3 victory propelled it into the final against Bowie White. 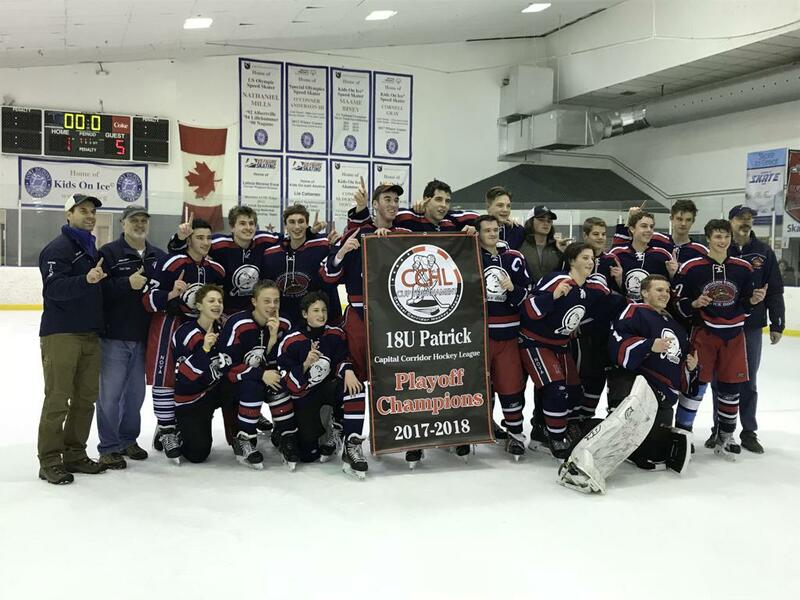 Bowie White was undefeated in the tournament and was the clear favorite after decidedly outscoring its playoff opponents. Consistent with those expectations, Bowie scored a goal less than 15 seconds after the opening faceoff on an odd bounce off the stick of Blue’s goalie, Mark Miller. That goal was the first scored in the tournament against Miller and it would prove to be the only one he allowed. The freak goal against galvanized Blue’s resolve and Blue scored two goals in the first to seize the lead, which it never relinquished. Blue added another goal in the second and iced the victory with two third period goals, for a final score of 5-1. Time to unfurl the Championship Banner!